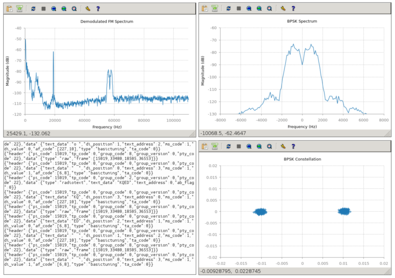 This example is a Radio Data System (RDS) receiver. 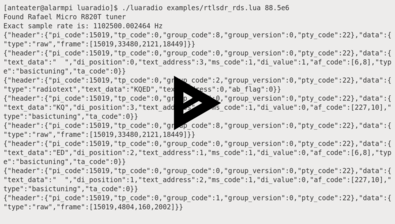 RDS is a digital protocol used by FM Broadcast radio stations to transmit metadata about the station and its programming. This protocol is most commonly known for providing station and song text information with “RadioText” messages. 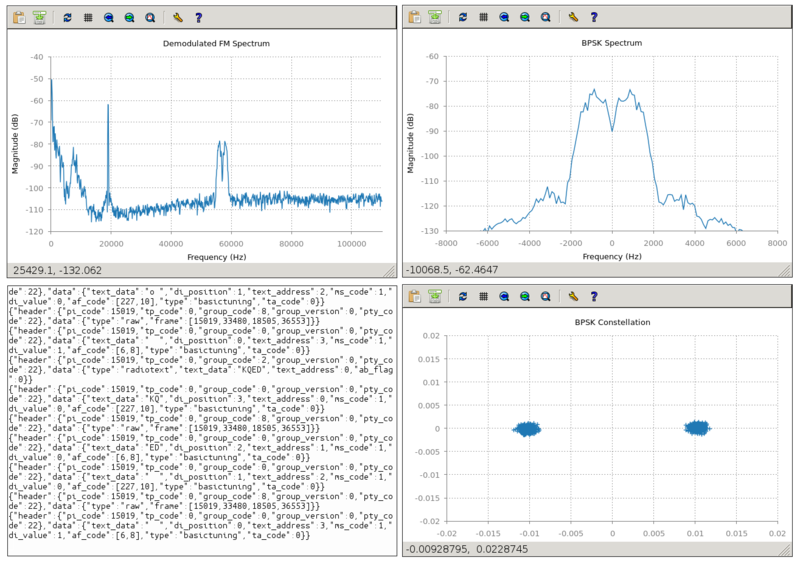 This examples uses the RTL-SDR as an SDR source, writes decoded RDS frames in JSON to standard out, and shows three real-time plots: the demodulated FM spectrum, the BPSK spectrum, and the BPSK constellation. This example can be used with FM Broadcast radio stations, like the WBFM Mono and WBFM Stereo examples. 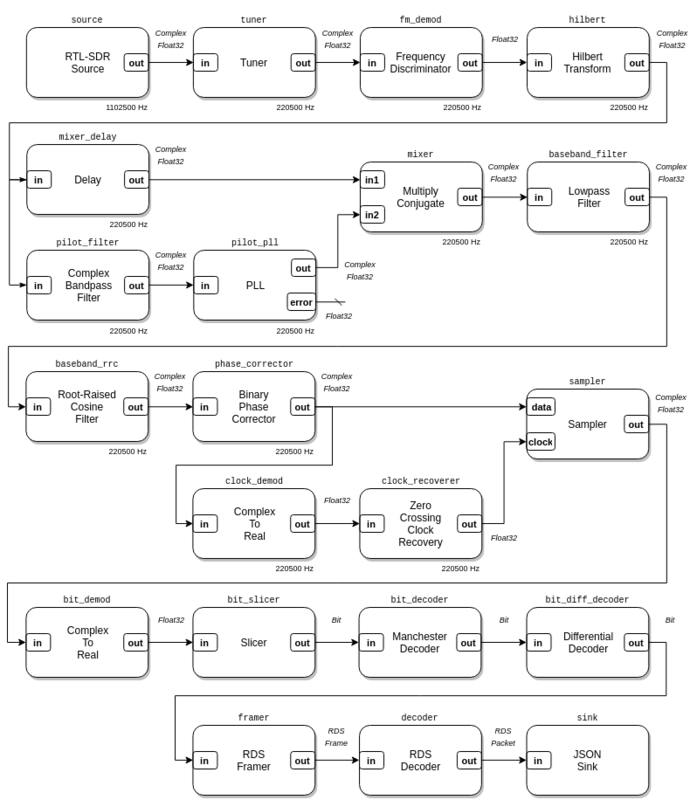 This RDS receiver composition is available in LuaRadio as the RDSReceiver block. Running this example in a headless environment will inhibit plotting.